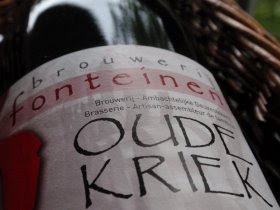 Thirsty Pilgrim: Brief Update on Setback at Drie Fonteinen. Regarding questions left unanswered about the loss of 100,000 bottles of lambic at Drie Fonteinen... I can only help with a couple of them after speaking with Armand Debelder again on Monday. First: Is the beer really ruined? Yes. There is no question about this in Debelder's mind. He told me that the temperature in the storage facility, after the thermostat broke, was higher than 50° C. If for some reason that doesn't satisfy you, chew on these words from the man himself: "There is one thing you can never buy at Drie Fonteinen, and that's a beer I can't get behind. Maybe I could sell some of these beers on the market, but is that what I'm working so hard for?" Getting rid of the ruined beer is not as simple as pouring it down the drain. Debelder said it must be destroyed at a proper installation, and the nearest one is in Holland. "It would cost a fortune" to send it there, he said. He is hopeful that the distillation project will work. An acquaintance once made a spirit from the Oude Gueuze and "it's excellent," Debelder said. "Probably it would be a very quality product." Later, again regarding the spirit, he said, "This would help me survive." Others (possibly including Dogfish Head brewer Sam Calagione?) have discussed taking up a collection to help the brewery. I mentioned this possibility, and a few times I asked Debelder what his loyal supporters out there could do to help. While he seemed touched, he changed the subject each time. Those who know him better may have more insight and decide to take the lead on such an effort. As for whether he has insurance to cover the lost beer, I don't know. I honestly didn't think to ask and don't plan to bother him again about this for a while. However, Armand Debelder is not down for the count by any stretch. He has some really interesting projects on the horizon. I hope to share them with you when he's ready to discuss them publicly. 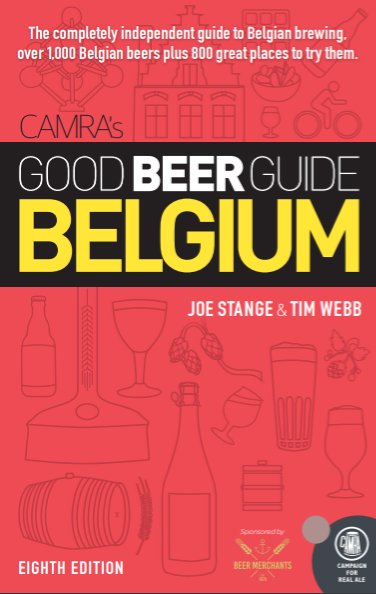 Meanwhile, on the other side of Beersel, there is something concrete you can do to help out another traditional lambic maker. Gert Christaens and Oud Beersel could use some more votes in their effort to win the national Ultimate Makeover competition. At stake is €200,000 that would be used for a project to make the brewery more sustainable. Anyone with a valid e-mail address can vote once here (in French) or here (in Dutch). And while we're at it, Cantillon, a.k.a. the Brussels Museum of Gueuze, is competing for the honor of best museum in town. You can offer your support here. Thanks for keeping us in the loop. I'd love to contribute to a charity/collection to help him recoup and start up the distillation. I've always been bowled over with 3Fonteinen beers and would like to see them continue putting out some of the best lambics on the market.